With the success of my Art off the Wall venture, where I am taking my photographic art into fabric design and products, thought I best start making a few more items. 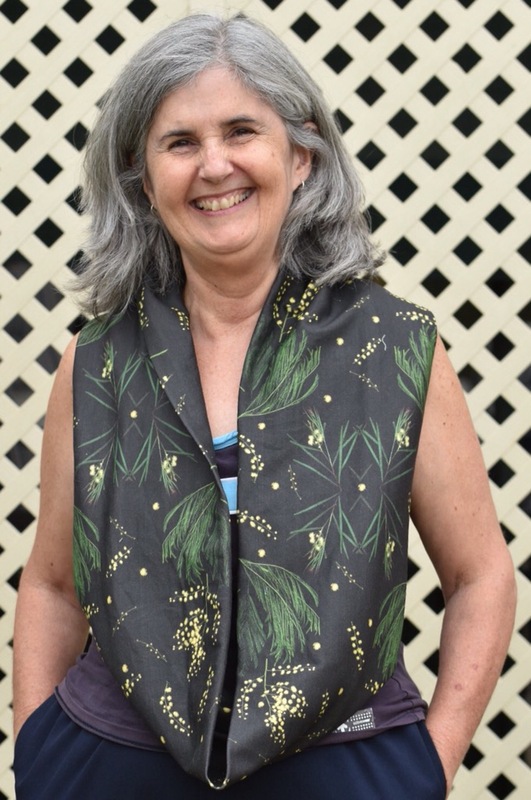 Here is my Bendigo Wattle design made into a lovely infinity scarf. The fabric is Organic Cotton Knit and the scarf was sewn by me today. If you are looking for a unique gift feel free to contact me or pop ito the Bendigo Visitor’s Information Centre in Pall Mall where you will find a select number of my pieces of Bendigo Floral Art works. This body of work is as transient as the seasons that influence the nature of the colours, shapes and availability of the flora within my environment. BTW this scarf is for sale if you would like to be the first person to get this latest clothing art piece. $98 and free postage within Australia. This entry was posted on March 12, 2017 by sharongreenaway in #sharongreenaway and tagged australia, bendigo, charcoal, gold, green, grey, organic cotton knit, photographic design, wattle, yellow.